The person reading this article has most likely seen some form of re-enactment of a Roman trireme navigating some waters and being surrounded by fog, not being able to see further than 1km around them and thus possessing limited knowledge about what lies beyond the “draw distance” provided by their cerebrum. It is this fear (and handicap when it comes to survival) that pushed such ancient civilisations to improve the technology that they possess in order to reduce the risk that sailing the seas bears. The discovery of optics, mathematics, construction techniques, iron and metal works, physics, even astronomy brought the horizon within an arm’s reach and allowed vessels and their captains to become even more ambitious with their plans. In a word: horrifying! We can see a whole city being blown to smithereens, with a fireball that would surely make the sun look like a coin in comparison. So a connection is made: “World War III” equals fire and explosions. But it is unlikely that the inquisitive person’s curiosity will end here. As is the case when someone drives past the scene of a car accident, it is seemingly impossible to not look. This fear, or more precisely – the fear of death (not knowing what happens when life ends), speaks to us and says: “Look, look, look!”. So, after satisfying the need to read more about this “World War III” by reading the information presented in the article, we learn that because Russia reached an agreement with some other countries over Idlib and America gave 2 boats to Kiev, this “World War III” will now not start in Syria, but in Ukraine! But wait just a minute here, because the notion of cities being engulfed by fireballs is very serious and there is the chance that it might involve death… lots of death… And since descriptions of this “World War III” give the impression that it won’t be just one street or town that may be affected, but entire cities, regions, or maybe nations, one’s wish to have more specific details leaves one in a bit of a pickle, because it follows from the information in the specified article that there is fog on the horizon when it comes to providing specific details. So, without further ado, let’s pull out our modern-day equivalent of a “spyglass” and do some basic reconnaissance before running for the ejector seat and escaping to the moon. On September 27th the US did indeed give Ukraine 2 vessels. According to the current President of Ukraine Petro Poroshenko’s website, they are Island-class patrol boats. I.e., coast guard ships. 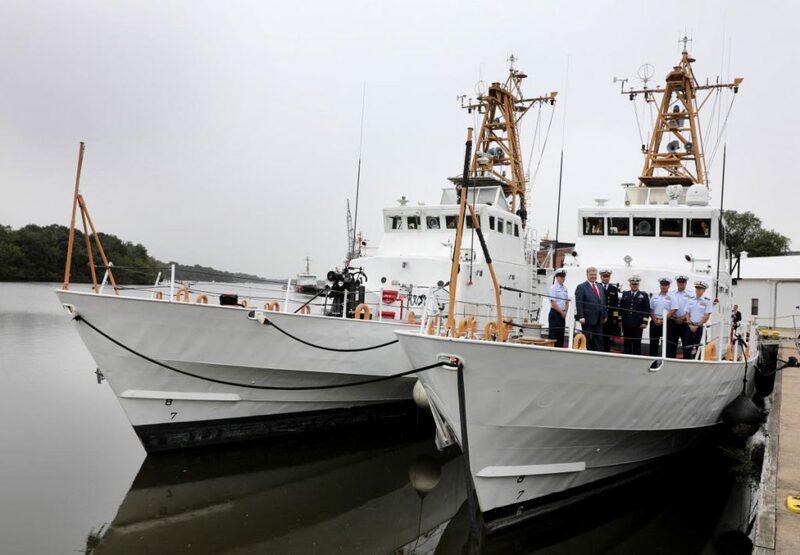 However, there was a caveat with the handing over of the boats: “America handed over the vessels for free but Ukraine will pay an estimated $10 million for their renovation in Baltimore, Maryland, where they will remain until, likely, next fall”. Ah, so already we are starting to see the real nature of this “generous gesture”. If we remember, in 2018 France reached an agreement with Kiev over the sale of 55 Airbus helicopters, which consists of “21 repurposed H225s, and 10 brand new H145s and 24 H125”. I.e., non-combat helicopters. Poroshenko’s propaganda machine, which consists of the media outlets that he personally directly owns and the agencies that are under his control, did not publicise the fact that most of the helicopters are second-hand. Furthermore, America was jealousof the fact that France was able to swindle Kiev in such a way. And back in 2017 there was the Javelin fiasco, where the US government was mulling (according to the media) over giving “Javelins” to Kiev. It was then reported in December, 2017 that Trump had given the green light for the sending of Javelins, but all we know from that moment is that they were “tested” by the Ukrainian Armed Forces in May, 2018 in Western Ukraine. However, many tabloid spin machines (for example) were adamant that the delivery of these Javelins signalled the beginning of this “World War III”. 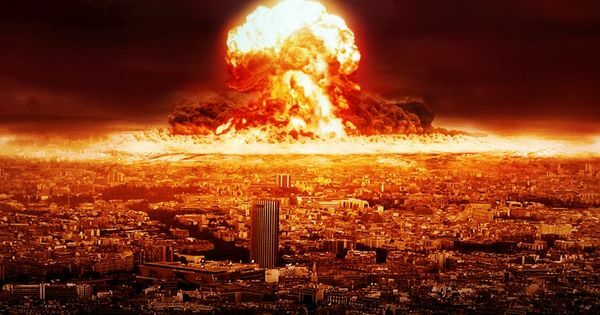 And they weren’t alone in this hysteria: social media “experts” pressed the “panic” button in unison and decided that if Russia didn’t drop Tsar Bomba on Kiev, it was game over. For them it doesn’t matter that the DPR/LPR don’t use tanks anymore because of the Minsk Agreements and what is happening in Donbass today can hardly be called a “war” (in a war there are offensives, not cowardly shelling on residential areas from a safe area, trying to bait Russia into responding). So coming back to the topic of these boats: knowing that Poroshenko is willing to literally pay the Trump administration thousands of dollars just for a fake meeting that will give his Euromaidan and Banderist electorate back home the illusions that “America stands with us”, it is more than likely that this was yet another PR stunt concocted by Poroshenko’s campaign HQ, which has also authored the “autocephaly“, “Russian aggression in the Azov Sea“, and “termination of the Treaty of Friendship” bullet points of his 2019 Presidential electoral campaign. So how can these splendid vessels be, as the author of the aforementioned “World War III” article put it, exploited “for use against Russia”? Well the first problem here is that Ukraine has no money. Yes, it is more than bankrupt. Its GDP is now exclusively being used to pay back the money that the West lent to it at extortionate interest rates. As soon as a hyrnia enters the coffers, it is immediately dispatched abroad. In fact, its GDP has been substituted with IMF/World Bank/EU/US loans – something that Greece is very familiar with. In fact, Ukraine’s economy makes most African countries look like paradises. Secondly, the conveyor of the information about “World War III” being launched in Ukraine cites a comment made by a Mr Ryan Zinke, who is the US Secretary of the Interior. Yes, precisely Secretary of the Interior, and nothing else. For reasons that rhyme with “clickbait” various publications (for example) decided to report “US Hints At Naval Blockade Of Russian Energy Exports”. Again, the comment was made by the Secretary of the Interior Ryan Zinke, at an “industry event in Pittsburgh hosted by the Consumer Energy Alliance”. And even if such a statement was made by the White House, so what? After decade upon decade of blah blah blah about how they are going to do this and that to Russia, actions never follow. After all, dumping a few tomahawks on empty warehouses in Syria (both “attacks” were coordinated with Russia beforehand because Washington is very afraid of its own incompetence) is not only a sign of weakness, but also actually helps Russia’s operations in Syria (the “democratic and just wolf” showed the “aggressive Bear” that behind the facade is a scared and futile puppy). Thirdly, the events in the Azov Sea in the month of September can hardly be described as “war” or even fisticuffs. The fact is that Russian pilots were allowed to come onboard Ukrainian ships to help them navigate through the shallow waters of the Azov Sea. Does this sound like something a country would do if it were indeed “at war” with an “aggressor”? Here are two more referrals that cite other Ukrainians who debunked Poroshenko’s PR stunt: Link 1and Link 2. Yes, Trump tweeted. But what does it mean? 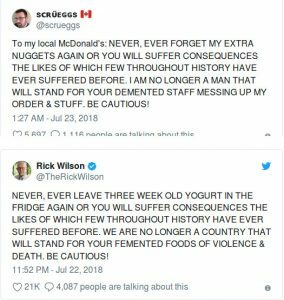 The tweet in itself is designed for internal consumption, of course. I.e., for GI Joe Americans to feel like America is still powerful and can flex its muscles anywhere in the globe. The precise reason why no strike followed and Russia and Turkey instead reached an agreement to avoid another Sarin spectacle is beyond the scope of this article, but it can be summarised as international law (not the R2P version, but the S-400 version) triumphing over chaotization (the new format of the R2P version of international law). Furthermore, America would risk a direct war with Russia on Syrian soil no more than it would on Ukrainian soil. I.e., not at all. Assad already won in Idlib (and in the war in general) when Russian jets touched down at Hmeymim in 2015. This event gave impetus to processes that could not be stopped neither by token Israeli airstrikes at alleged “Hezbollah” cow sheds nor by Tomahawk PR extravaganzas. Thus, the actual cleaning of the city from jihadist filth is merely a formality, and by all accounts Nusra & Co are doing a pretty good job already – infighting, a lack of support, and Turkish arm twisting are softening the city itself up for the inevitable 2019 final deal (based on the terms of the Russia-Turkey-Iran axis) regarding Idlib. Thus, Russia is in no hurry to resolve the Idlib question, especially when Iran can launch missiles directly over America’s head in Eastern Syria (Albu Kamal). It must be stated (once again) that at no point in the Syrian war (2011 onwards) was a direct clash between Russia and America an option. There is the misconception (or wishful thinking) that “the US Government was setting Syria up as the place to start WW III”, but this implies not only that the US government is suicidally unaware that it would be utterly annihilated if it decided to raise the stakes to the skies, but also that the UN is frozen in 2002, when a mock vial of anthrax was all that was needed to bulldoze Middle Eastern country “X”. And whilst America is “setting up Syria” for the “WW III” bonanza, do other processes stop? Does Nord Stream-2, the Silk Road, Turkish Stream, BRICS (T? ), SCO, EEU, etc just freeze in time? Also, if the US was “setting Syria up as the place to start WW III”, does it mean that: a) Assad helped America to “set up” Syria since it was his (and those of his father) socio-economic policies (free handouts + overpopulation) that weakened Syria enough for Wahhabism to grab it by the throat? And if the US was “also setting up Ukraine as an alternative possibility” for nuclear war, does that mean Ukraine’s problems started only when America started to do this? Or are things more complicated, and the roots of Syria’s and Ukraine’s problems extend beyond 2011 and 2014 respectively? Moreover, the causes of these problems are multi-faceted and have different layers of complexity. They are not just “America vs Russia” chess games. In fact, it is quicker to enumerate the countries that AREN’T meddling in Syria or Ukraine. And each party has their own interests and objectives (we are not in the 2002 Iraq/Afghanistan invasion era where the West is a single consolidated bloc dancing to Tel Aviv’s tune). Lastly, as was touched on in passing earlier, the situation in Donbass is far from being what it was in even 2016. The Ukrainian Armed Forces (and its comrade “volunteer” battalions) and the mainstream Ukrainian society (those who were duped by the Euromaidan spectacle, didn’t fully commit to the idea that Russia is an aggressor, and slowly experience moments of clarity when they witness how their bank balance diminishes every month) is completely exhausted from what has happened not just in the zone of the “Anti-terrorist operation”, but also nationwide as a whole. And here the fact that various DPR political figures have already launched their electoral campaigns for the November 11th elections is very indicative of where priorities now lie. It is clear that America gave Poroshenko the green light to concentrate on the new front in the churches (replacing the old, failed one in Donbass). And on this front there is an increased chance that Russia may indeed “do something” and intervene in one way or another, as the Minsk Agreements was designed to allow Russia to freeze the situation in Ukraine that arose in 2014 and enter Syria without overexposing its rear. We are now in 2018, fast approaching 2019, and Moscow’s operation in Syria is de facto complete. 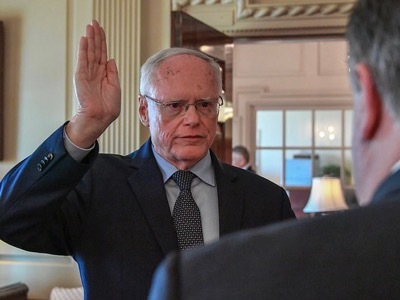 It was succeeded to keep Syrian statehood intact and to firmly remind Tel Aviv that there is a new sheriff – invited by the legitimate president of Syria! – in the town called “MENA”. Whether the OSCE will be obliged to protect Ukrainian canonical churches from the Banderist hoardes that are already trying to seize churches despite “Autocephaly” not yet being granted, unless the Ecumenical Patriarch of Constantinople is playing Poroshenko like a fiddle? If the West is going to use Ukraine to do something “against Russia”, it will merely be an extension of what we have already seen: since reality has proven that defeating Russia militarily is a pipedream, Ukraine acts like a fifth-column battering ram designed to incite Russian society (and as much of the peripheral post-Soviet space as possible) against Putin. The Kremlin reacted quickly to save Crimea from the “love” of “Right Sector”, and the Minsk Agreements solved the problem of saving Donbass without giving America what it wanted – Russian troops inside Ukraine. Putin knows much more than you the reader or I know when it comes to what is best for the Russian nation, and it’s not a coincidence that he regularly meets with the President of Belarus Aleksandr Lukashenko. The West’s attempts to turn this former Soviet Republic into another anti-Russia battering ram continue unabated, and the work of NGOs (both Soros-funded and non-Soros-funded) to subvert Belarusian society won’t stop just because the West is having an economic crisis. However, the modern color revolution scheme that was tried and test in Egypt with the “Twitter revolution” has one major flaw – if the financial situation of the working man and woman is stable (assuming that the West’s toxic NGO’s haven’t already infected their brains and convinced them that the “dictator” represses them because they don’t have the latest sports car or Armani bag), then inciting them (along with the village people who are political outcasts and perhaps have sentiments for “heroes” like Stepan Bandera) to overthrow the legally elected President becomes difficult. A good example: the West tried to hijack the “pension reform” topic in Russia, but alas, they failed. In fact, it isn’t excluded that Jeff Monson’s observations played an important role in this. What is “World War III”? We’ve heard so much about it and we’re always told by certain blogs that it is imminent, and sometimes learning more about it requires a PayPal transaction. But when some time has passed and nothing matching the description of “World War III” has happened, there is always some excuse as to why it hasn’t happened yet. And diplomatic solutions to problems are in general not promoted in the blogosphere. Why? Because they are “boring”. Talking around a table doesn’t quite have the same Hollywood effect as a “Kinzhal” missile hitting USS Donald Cook. And since social media has reduced attention spans and thinking patterns to 20 minute blocks, the cravings for endorphins become more and more stronger. 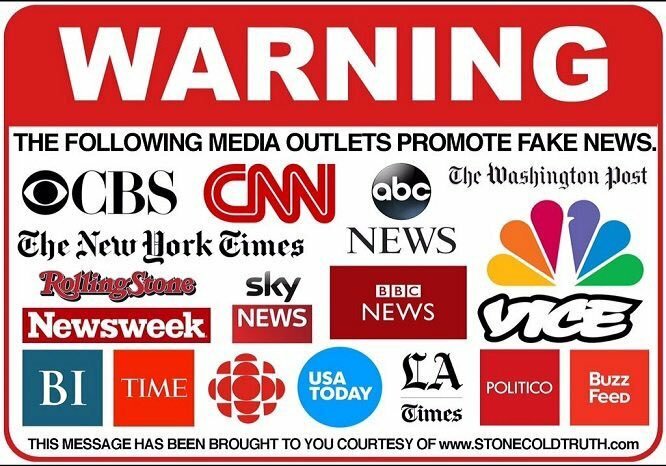 The answer as to why “World War III” – according to the alt-media’s definition of the term – hasn’t yet happened lies inside it. But this will be the topic for a future article. In the meantime it is wise to remember that as of this moment geopolitical processes are happening in PARALLEL, and not SERIAL. 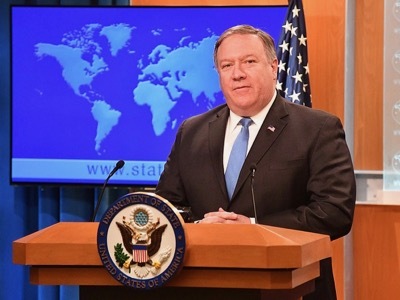 According to the US Democratic opposition, the Trump administration is reprising the neo-conservative policy of régime change, as indicated by the choice of the date of the announcement – the 65th anniversary of the Anglo -US coup d’etat against Iranian Prime Minister Mohammad Mosaddegh. However, although « Operation Ajax » of 1953 did indeed inspire the neo-conservatives, it occurred years before their movement was born, and has no connection with them. Besides which, the neo-conservatives served not only the Republican Party, but also the Democrats. During his electoral campaign and for his first few days in the White House, Donald Trump continually stigmatised the globalist thinking of the neo-conservatives, and swore that the United States would no longer seek to change the régimes of foreign countries by force. As for the Secretary of State, he claimed that the coincidence of dates was simply fortuitous. 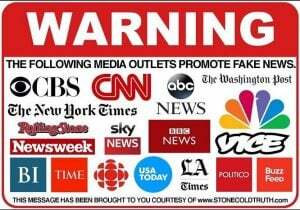 The penetration of the medias in the region in order to broadcast US propaganda. Jeffrey is a career « diplomat ». He organised the application of the Dayton agreements in Bosnia-Herzegovina. He was on post in Kuwaït during the Iraqi invasion. In 2004, under the orders of John Negroponte, he supervised the transition from the Coalition Provisional Authority (which was a private company ) to the post-Saddam Hussein Iraqi government. Then he joined Condolleezza Rice’s cabinet in Washington, and participated in the Coalition Provisional Authority. He was one of the theorists for US military redeployment in Iraq (the Surge), implemented by General Petraeus. He was also the assistant of National Security Advisor Stephen Hadley during the war in Georgia, then Bush Junior’s ambassador in Turkey and Obama’s ambassador in Iraq. If we look a little closer, we may note that his entire career since the collapse of the USSR has been centred around Iran, but not necessarily in opposition to it. For example, during the war in Bosnia-Herzegovina, Iran fought alongside Saudi Arabia under the orders of the Pentagon. On the other hand, in Iraq, Jeffrey opposed the influence of Teheran. 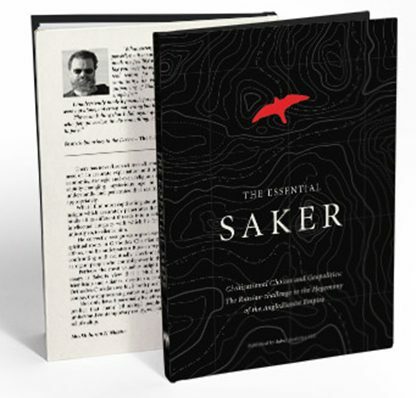 But when Georgia attacked South Ossetia and Abkhasia, he did not defend President Saakachvili, since he knew that he had rented two airports to Israël to facilitate an attack on Iran. According to Pompeo, the aim of this new group is not to change the régime, but to force Iran to change its politics. This strategy appears while the Islamic Republic is navigating a major economic and political crisis. While the clergy (doubly represented by the Cheikh President and by the Supreme Leader of the Islamic Revolution) is clinging to power, there are demonstrations against it all over the country. Contrary to the image we were presented in the West, Ayatollah Khomeiny’s revolution was not clerical, but anti-imperialist. The protests can therefore either lead to a change of the régime, or to the continuation of the Khomeinist Revolution, but without the clergy. It is this second option which is represented by ex-President Ahmadinejad (today under house arrest) and his ex-Vice-Ppresident Baghaie (imprisoned for 15 years and held incommunicado). 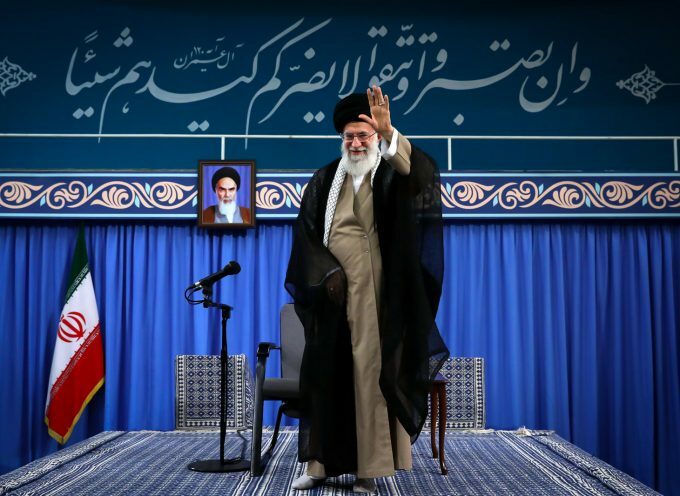 On 15 August, in other words, on the day before Pompeo’s announcement, the Supreme Leader of the Islamic Revolution, Ayatollah Ali Khamenei, recognised that he had been in error when he allowed Cheikh Hassan Rohani’s team to negotiate the JCPoA agreement with the Obama administration . Note that the Supreme Leader had authorised these negotiations before Rohani’s election, and that he – and the eviction of Ahmadinejad’s movement – had been part of the preparatory discussions. Everything therefore points to the idea that although the Obama administration supported Rohani, Trump’s administration supports Ahmadinejad’s party. Just as when President Carter and his advisor Brzeziński launched «Operation Eagle Claw » against the Revolution, while President Reagan supported Imam Khomeiny (October Surprise). “The networks of “democratic” interference”, “NED, the Legal Window of the CIA”, by Thierry Meyssan, Translation Anoosha Boralessa, Оdnako(Russia) , Voltaire Network, 22 January 2004 and 16 August 2016. A search run with the media aggregator Factiva finds that in the nearly 20 years since Venezuela first elected a Chavista government, the New York Times, Wall Street Journal and Washington Post have used the phrase “Venezuelan regime” 74 times, “regime in Venezuela” 30 times, “Chávez regime” 68 times, “Maduro regime” 168 times and “regime in Caracas” five times. All of these governments have been democratically elected, but have sinned by trying to carve out a path independent of US control. Consider, by contrast, coverage of Honduras. The country is hardly lacking in characteristics associated with a “regime.” On June 28, 2009, a US-backed military coup overthrew the democratically elected government of Manuel Zelaya, replacing it with a US-friendly administration. Since then, Honduras has become the most dangerous place for journalists in the Americas; labor leaders and environmental activists have also been regularly targeted for assassination. According to a Factiva search, the phrase “Honduran regime” has never appeared in the Times, Journal and Post in the years following the coup, and collectively they used the phrase “regime in Honduras” once: It appeared in a Washington Post article (3/31/16) about the assassinations of Honduran indigenous leader Berta Cáceres and other environmentalists in the region, in a quote by a professor critical of US support for Latin American dictatorships. While Honduras’s three post-coup presidents have governed a country where “impunity for human rights abuses remains the norm,” according to Human Rights Watch, these leaders have almost never been described as running a “regime.” A Post editorial (9/5/09) included the only appearance of “Micheletti regime” in any of the three papers. “Lobo regime” returns zero search results. The New York Times (2/16/16) has used “Hernández regime” once, but Factiva indicates that the Postand Journal never have. Searches for “regime in Tegucigalpa” or “Tegucigalpa regime” produced zero results. 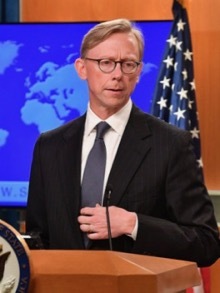 Washington’s economic and military partner Saudi Arabia is described as having a “regime” far less often than is Syria, despite its rather “regime”-like qualities: Its unelected government represses dissidents, including advocates for women and its Shia minority, and carries out executions at anextraordinary clip, including of people accused of adultery, apostasy and witchcraft. Saudi Arabia crushed an uprising in neighboring Bahrain in 2011, and with its US and UK partners, is carrying out an almost apocalyptic war in Yemen. 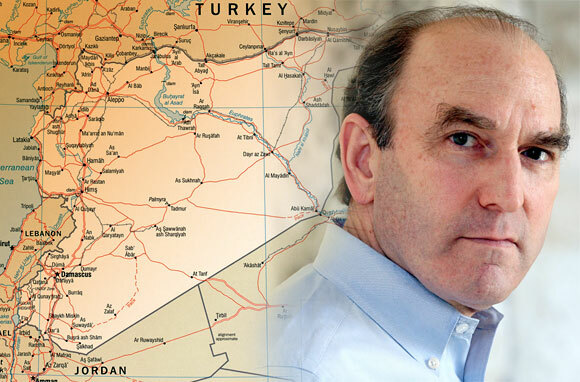 The case of stalwart US ally Israel offers an illuminating counterpoint. Even though Israel violently rules over 2.5 Palestinians in the West Bank and keeps 2 million under siege in Gaza, and even though Palestinians living as citizens of Israel face institutional discrimination, the Israeli government is almost never described as a “regime” in a way that carries the negative connotations discussed above. We can all thank God for the fact that the AngloZionists did not launch a war on the DPRK, that no Ukronazi attack on the Donbass took place during the World Cup in Russia and that the leaders of the Empire have apparently have given up on their plans to launch a reconquista of Syria. However, each of these retreats from their hysterical rhetoric has only made the Neocons more frustrated and determined to show the planet that they are still The Hegemon who cannot be disobeyed with impunity. As I wrote after the failed US cruise missile strike on Syria this spring, “each click brings us closer to the bang“. In the immortal words of Michael Ledeen, “Every ten years or so, the United States needs to pick up some small crappy little country and throw it against the wall, just to show the world we mean business“. The obvious problem is that there are no “small crappy little countries” left out there, and that those who are currently the object of the Empire’s ire are neither small nor crappy. Having now shown several times that for all its hysterical barking the Empire has to back down when the opponent does not cower away in fear, the Empire is now in desperate need to prove it’s “uniqueness” and (racial?) superiority. The obvious target of the AngloZionist wrath is Iran. In fact, Iran has been in the cross-hairs of the Empire ever since the people of Iran dared to show the AngloZionists to the door and, even worse, succeed in creating their own, national and Islamic democracy. To punish Iran, the US, the USSR, France and all the other “democratic” countries unleashed their puppet (Saddam Hussein) and gave him full military support, and yet the Iranians still prevailed, albeit at a terrible cost. 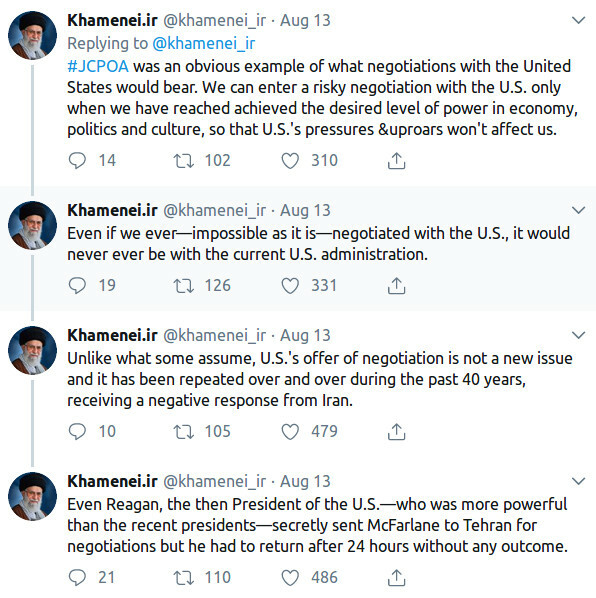 That Iranian ability to prevail in the most terrible circumstances is also the most likely explanation for why there has not been an overt attack on Iran for the past four decades (there have, of course, there has been plenty of covert attacks during all these years). I won’t list all the recent AngloZionist threats against Iran – we all know about them. The bottom line is this: the US, Israel and the KSA are, yet again, working hand in hand to set the stage for a major war under what we could call the “Skripal-case rules of evidence” aka “highly likely“. And yet, in spite of all this saber-rattling, Iranian Supreme Leader Ali Khamenei has summed up Iran’s stance in the following words “there will be no war and no negotiations“. Notice first that in his typical ignorance, Trump fails to realize that Hassan Rouhani is only the President of Iran and that threatening him makes absolutely no sense since he does not make national security decisions, which is the function of the Supreme Leader. Had Trump taken the time to at the very least check with Wikipedia he would have understood that the Iranian President “carries out the decrees, and answers to the Supreme Leader of Iran, who functions as the country’s head of state“. It is no wonder that Trump’s infantile threats instantly turned into an Internet meme! Of course, issuing ALL IN CAPS threats just to be treated with utter contempt by the people you are trying to hard to bully and having your words become a cause of laughter on the Internet will only further enrage Trump and his supporters. When you are desperately trying to show the world how tough and scary you are, there is nothing more humiliating as being treated like some stupid kid. Therein also lies the biggest danger: such derision could force Trump and the Neocons who run him to do something desperate to prove to the word that their “red button” is still bigger than everybody else’s. It is important to note here that making negotiations impossible is something the Trump administration seems to have adopted as a policy. This is best illustrated by the conditions attached to the latest sanctions against Russia which, essentially, demand that Russia admit poisoning the Skripals. In fact, all the western demands towards Russia (admitting that Russia is guilty for the Skripal case, that Russia shot down MH-17, that Russia hand over Crimea to the Ukronazis, etc.) are carefully crafted to make absolutely sure that Russia will not negotiate. 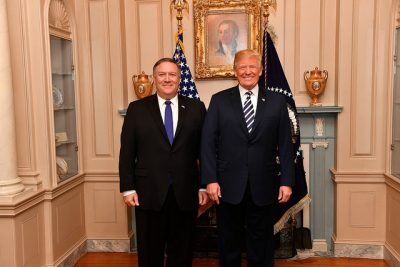 The sames, of course, goes for the ridiculous Pompeo demands towards the DPRK (including handing over to the USA 60 to 70 percent of its nukes within six to eight months; no wonder the North Koreans denounced a “gangster-like” attitude) or the latest US grandstanding towards Turkey. Sadly, but the Neocon run media has successfully imposed the notion that negotiations are either a sign of weakness, or treason, or both. Thus to be “patriotic” and “strong” no US official can afford to be caught red-handed negotiating with the enemy of the day. Frankly, the “no negotiations” approach makes perfectly good sense, and while the Iranians are the only ones who have openly said so, the Russians have hinted to the same on many occasions (see their words about the US being “non-agreement capable” or about US diplomats confusing Austria and Australia). 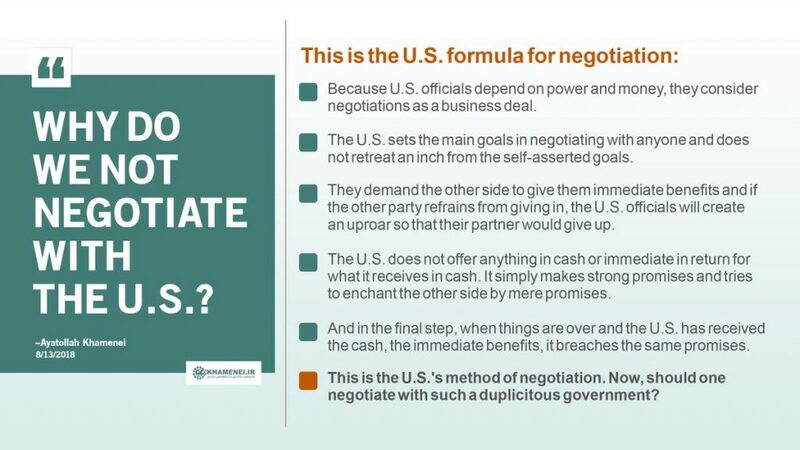 To any objective observer it should by now be completely obvious by now that a) the US cannot negotiate (due to intellectual, cultural and political limitations) and b) the US has no desire to negotiate. This is, of course, a highly undesirable and dangerous situation, but it would only make things worse to pretend that civilized negotiations with the USA are possible. So, if both sides agree on “no negotiations”, what about war? Deception: Iran knows that a war is coming but is trying to pretend like it won’t to better conceal the war preparations and lure the Empire into a sense of complacency resulting into an ineffective/costly attack. Intelligence: the Iranians might have intelligence indicating to them that all the US threats are just hot air spewed in order to appease the Israel Lobby and to look “patriotic” in preparation for the upcoming elections this Fall. Miscalculation: the Iranians might underestimate the level of hubris, arrogance and stupidity of the US leadership and mistakenly conclude that since an attack on Iran makes no sense and the US cannot “win”, such an attack will therefore not happen. Personally, every time I think of a possible US attack on Iran I think of the Israeli attack on Lebanon in 2006 which happened in spite of the fact that it was plainly visible to everybody that the Israelis were waltzing straight into a conflict which they could not win and which, in fact, resulted into one of the most abjects defeats in military history. Conversely, while Hezbollah did win a truly historical victory, it also remains a fact that Hezbollah leaders did not expect the Israelis to launch a full-scale ground offensive. Finally, history is full of examples of wars which were started in spite of all objective factors indicating that they would end up in disaster. It seems to me that in purely military terms (not in political ones!) Israel could be seen as a stand-in for the USA and Hezbollah as a stand-in for Iran and that the outcome of any future US-Iranian war will be very similar to the outcome of the war in 2006, albeit on a much larger (and bloodier) scale. I am confident that the folks in the Pentagon realize that, but what about their Neocon bosses – do they even care about Iranian or, for that matter, US casualties? I highly doubt it: all they care about is their power and messianic ideology. If it weren’t for it’s nuclear arsenal, the USA could be dismissed as a particularly obnoxious country lead by ignorant leaders with bloated and mostly ineffective armed forces. Alas, the US nuclear arsenal is very real (and still very capable) and we know that top-level US Neocons have already considered using tactical nuclear weapons against a non-nuclear state’s conventional force in the past. In a twisted way, this makes sense: if you are a megalomaniac infused with a sense of messianic superiority then international or even civilizational norms of behavior are of no interest (or even relevance) to you. Listening to US Presidents, pretty much all of them (but especially Obama and Trump) it is pretty clear that these folks consider themselves to be the Kulturträger and the Herrenvolk of the 21st century and their messianism is in no way less delusional than the one of their Nazi predecessors (or, for that matter, the one of the Popes of the past 1000 years). And why would the people who nuked two Japanese cities under the (entirely fallacious) pretext of “shortening the war” (almost a humanitarian operation!) not do the same thing in Iran? Of sure, they probably realize that using nukes will result in a massive political backlash, but they are confident that no matter what happens in the end, they will always be able to say “screw you!” to the rest of the planet. After all, this is something which Israel and the USA have been doing with almost total inpunity for decades already – why would they stop now? As for the fact that the Persian people have been dealing with all kinds of invaders since no less than 2500 years will not stop the AngloZionists from trying to crush them. After all, having laid waste to a country which many see as the cradle of civilization, Iraq, why not do the same thing to Iran? Iraq, Iran – what’s the difference, they are all just “sand niggers” and our red button is bigger than theirs, right? 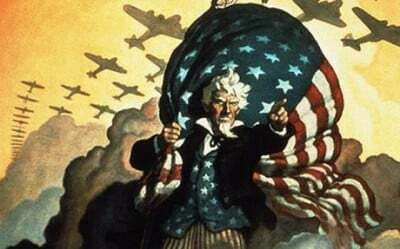 It would be a big mistake to dismiss the USA because of its incapable military or moral bankruptcy. The truth is that in terms of aggregate national power, the USA still remains the most powerful country on the planet (even if we don’t include nuclear weapons). Anyone doubting that needs to look how how the currencies of the countries the US is singles out for attack suddenly began slipping: the Russian ruble (which has since bounced back), the Iranian rial, the Venezuelan bolivar, the Turkish lira, etc.) or how little time it took Trump to bring the (admittedly spineless) Europeans to heel. As for Russia, for all her military might, she remains only a semi-sovereign country in which the pro-US/pro-Israeli “Atlantic Integrationists” continue to try to sabotage (often successfully) everything Putin and his supporters are doing. I would not place big hopes in China either, especially considering the lack of meaningful Chinese action in Syria where Russia and Iran did all the heavy lifting. Sadly, but the only ally Iran can truly count on is Hezbollah. And while Hezbollah is considered a “non-state actor”, it has a formidable capability to strike at the USA’s colonial masters, especially in terms of missiles. This will not protect Iran, but it could serve as a very real deterrent to the Israelis, especially since Hezbollah Secretary General Hassan Nasrallah he has made it clear that Hezbollah more than capable of taking on Israel. For the time being, the Israelis are already preparing for a re-match against Hezbollah and they are massing forces in the north to prepare for a war against Hezbollah. So count with yet another imperial war of aggression, a barrel of crude at over 100$ and oil shortages, rocketing inflation, job losses, a stagnant real estate market and stock exchange, and a national debt and government deficit which would make even Reagan proud. And plenty of dead Americans (nevermind the Iranians, right?). But don’t worry: there will still be a huge supply of Chinese-made US flags to wave!